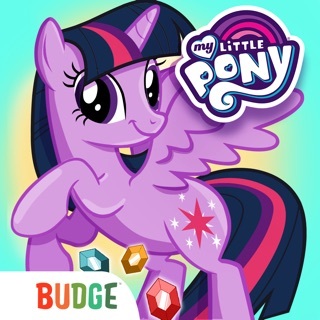 -NEW CONTENT REGULARLY - Updated with exclusive content such as new themed lands, new characters, stickers, games, learning activities, and more! -INSPIRE LEARNING – Practice spelling, counting, and art with exciting activities! -VIDEO – Play clips and take pop quizzes! Budge World is a subscription service. Subscription to the app gives full access to all the content of the app for as long as the subscription is active. New content added monthly for subscribers. Some content only becomes available as kids progress in the game, such as prizes, stickers and new Budger characters. - This app offers monthly subscriptions. Before you download this app, please note that this app may be free to try, but additional content is only available to subscribed users. It may contain advertising from Budge Studios regarding other apps we publish. This app gives users the ability to take and/or create photos in-app that can be saved locally to their devices. These photos are never shared with other users in-app, nor are they shared by Budge Studios with any unaffiliated third-party companies. 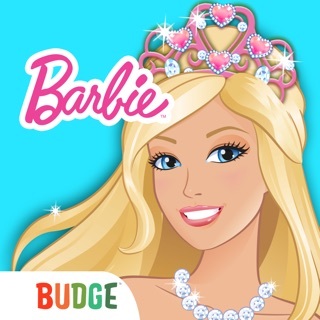 BUDGE STUDIOS, BUDGE, BUDGE WORLD and BUDGERS are trademarks of Budge Studios Inc. All other trademarks featured in this app are the property of their respective owners and used under license by Budge Studios. BUDGE WORLD © 2016-2019 Budge Studios Inc. All Rights Reserved. New Brands and activities coming soon in Budge World! Update the app to get the full experience! Our resident Tiny Human absolutely loves this game! He is always asking to play it. We only had the free week trial and were looking at the subscription costs and noticed they’re different prices per monthly choice. One Month membership is $4.99, $6.99, $7.99 or $9.99 and it does this for 3 month memberships, 6 month membership and yearly membership, they’re all different prices for the same membership. The subscription portion of Apple ID doesn’t explain what is the difference, so I checked the app information page and that also had no information. So we shall not be renewing the subscription unless we can see what makes the choices different. Per the app information page no matter the subscription you unlock everything, so why the different prices? Hopefully this can be explained, but for now we’re cancelling. I have reached out to your company in three different ways (review, email and fb messenger) on all the day of this review and this is the only response I’ve given. I’ve honestly given up and just won’t use your service. Which is a shame because the tiny human loves it. Dropped to one star because the company is a mess and can’t even respond to inquiries. Please contact support@budgestudios.ca for more information. We would be happy to help. Our 5 year old begged for this app, so we downloaded it last night using the 7 day free trial. A credit card is required for the trial. She played last night and seemed to enjoy the games. This morning when she tried to open the app, it kept freezing and after uninstalling and reinstalling the app as a last resort, we were required to pay the monthly subscription fee listed as $6.99 in order to access the app. Our free trial still should have had 6 days left. Anyway, we agreed to the $6.99 subscription fee and ended up being charged more than double that amount. Bottom line, although the activities in the app looked like fun, the charges are outrageous and appear to over charge monthly fees based on our experience as well as on others reviews, so we canceled our subscription and will not download another app by the developers in the future. I am sorry to hear that! Please contact support@budgestudios.ca to report this or any other issue. We will be happy to help! My kids love this app! However it is too expensive 😔 I tried it for the 7 days and canceled afterwards. You would think they would set a reasonable price to resolve this issue that so many customers have. Anyhow I think it’s nice that the developers really thought about boys and girls when making this game! Some time I find that an app that’s supposed to be kid oriented caters to one child over the other. But this app is flawless in that sens my 3 y.o. Daughter can design cute little nails! I love that! My 6 y.o. son loved dabbling in every game possible lol. Thanks good trial and I would buy if it was affordable I hope this review help others I would recommended to buy this if you can afford it.